Interactions with the game portions of the world may be judged successful through the use of a skill test. the target location (if applicable). 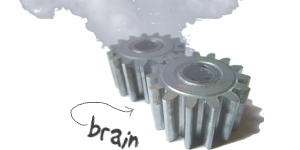 The game engine generates a random number in the range 0.00 to 100.00 (the roll). 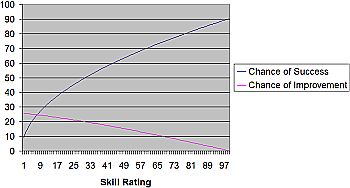 If the modified roll is less than the character’s chance to succeed at the skill, the skill test succeeds, else the test fails. The character proxy is told the results of the skill roll, the success or failure state, and by how much. If the skill roll was successful, the character proxy tests to see if the skill has caused the skill to increase with a random number roll in the range 0.00 to 100.00. 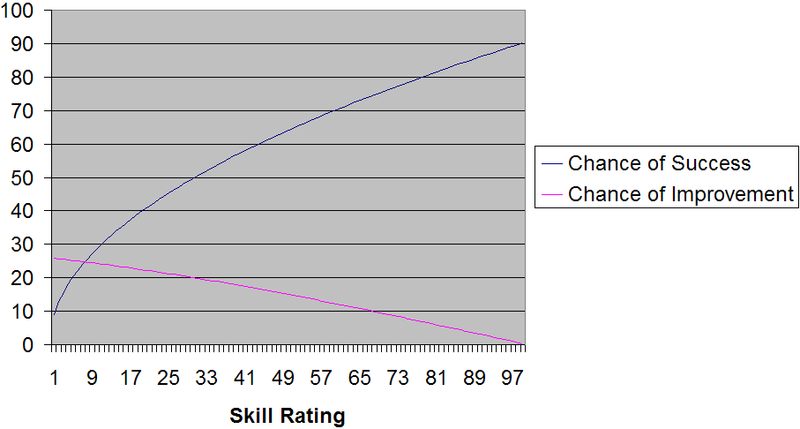 If the roll was less than the chance for improvement, the skill is improved by one point. Character skills are capped at 10 times the rank, such that a rank 1 character will not be able to advance skills beyond rating 10 until they have entered rank 2. A prerequisite for advancing ranks is having all skills capped. Additionally, all natural humans have skills capped at 45 (all skill tests have a maximum 60.80% chance of success) in order to provide incentive to have characters purchase cyborg bodies and to recognize the difference and advantages that the improved human possesses. Note that in combat, all attacks are based on skill rolls. However, certain devices or prior actions (such as using a scope, a device that provides a bonus, or lining up a shot, a previous skill use that provides a mitigating factor) may improve the skill roll. // random number generator . . .
very cool. Question though? Lets say you don’t have a skill, is there a default chance to suceed at a task when no skill is present? I tend to believe that skills that you don’t know default to the parent (governing) attribute. As for the mechanic, I haven’t actually decided if it will be in game or how it will work. I don’t have a list of skills yet, either.